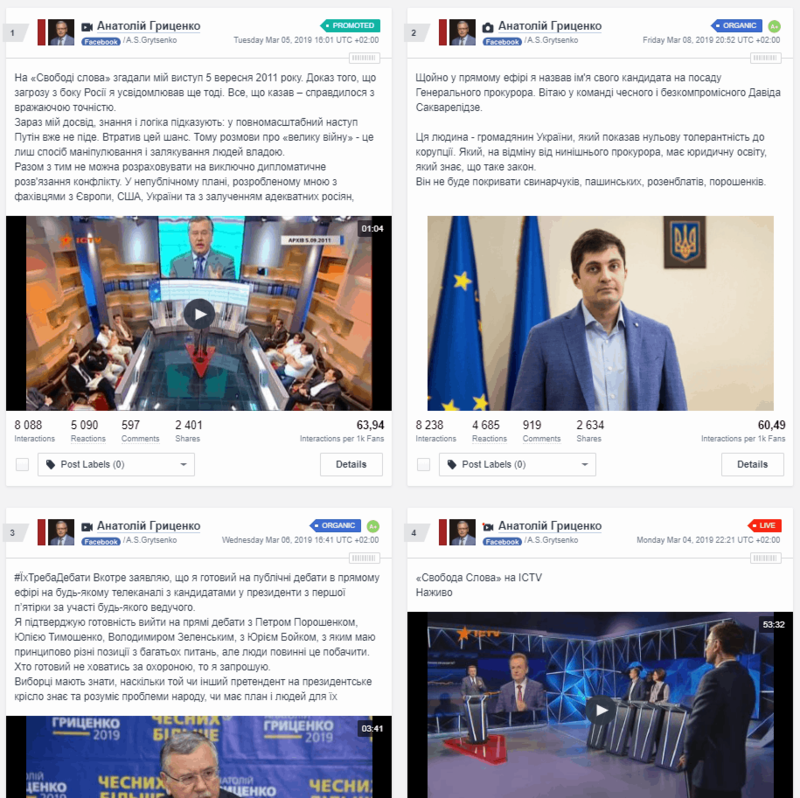 Profiles of the politicians in Ukraine’s most popular and visited social media platforms, Facebook and YouTube, have been analyzed. Apart from that, we have taken into account the data from the candidates’ official websites and their online reach based on Google search. Among the chosen seven candidates, there is no single favorite, but there are candidates who lead in certain analysis metrics. 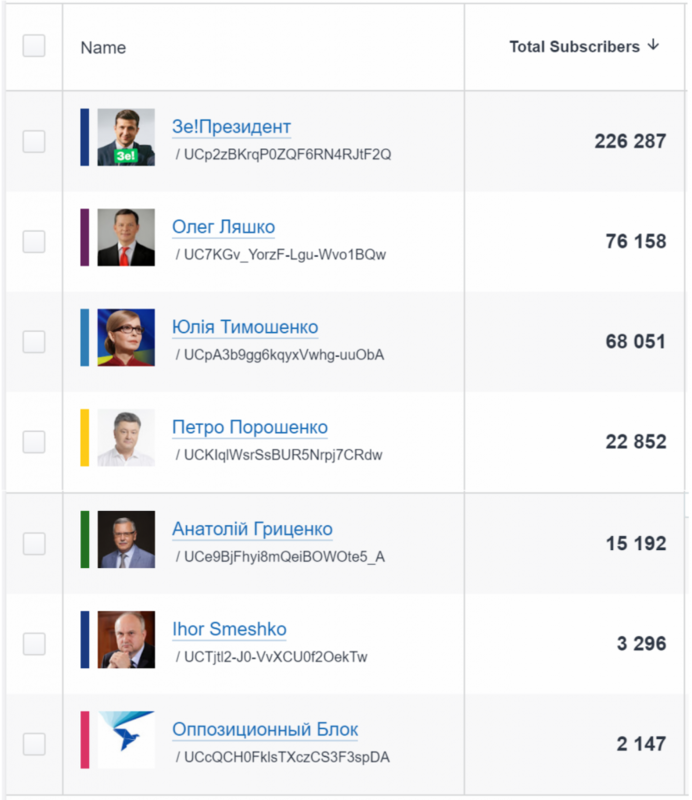 On Facebook, Petro Poroshenko obviously ranks first by the number and quality of engaged followers and their activity. However, Volodymyr Zelenskiy’s profile is a close runner-up in terms of followers’ activity. Though Yulia Tymoshenko’s profile has six times as many followers as that of Zelenskiy, she is the second runner-up in this race. 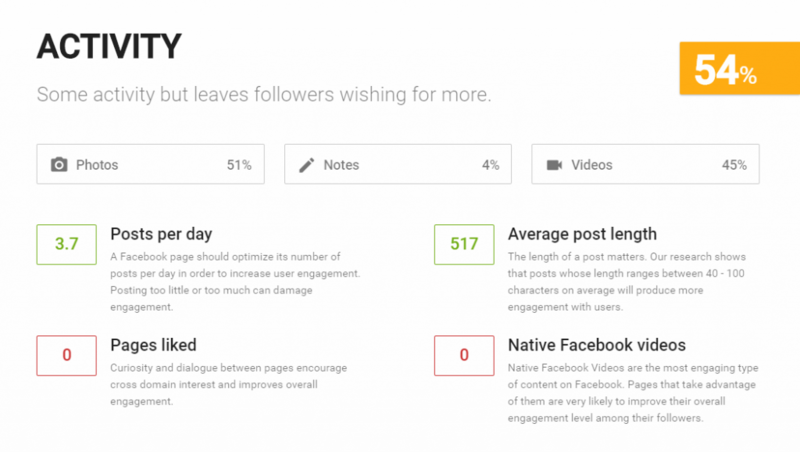 Worthy of note is the Facebook community of Ihor Smeshko, which enjoys a high followers’ engagement rate despite having been created only a month ago. 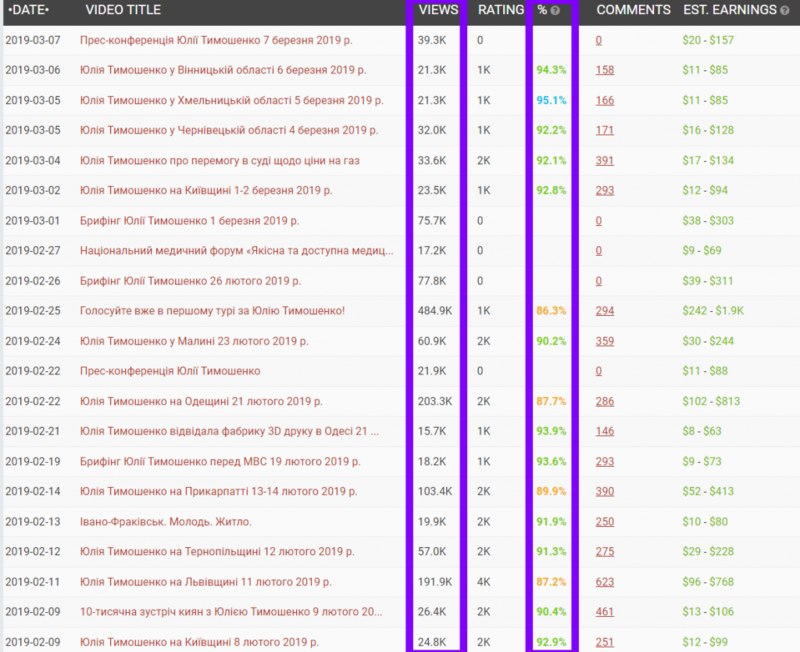 As far as YouTube is concerned, Volodymyr Zeleskiy’s channel is the absolute leader with its impressive 223,451 followers and 11 million views gathered within the six weeks of its existence. The rate of users’ interaction in comments also significantly exceeds that of his competitors. The second place is occupied by Yulia Tymoshenko’s channel although it has fewer followers than Oleh Lyashko’s page. 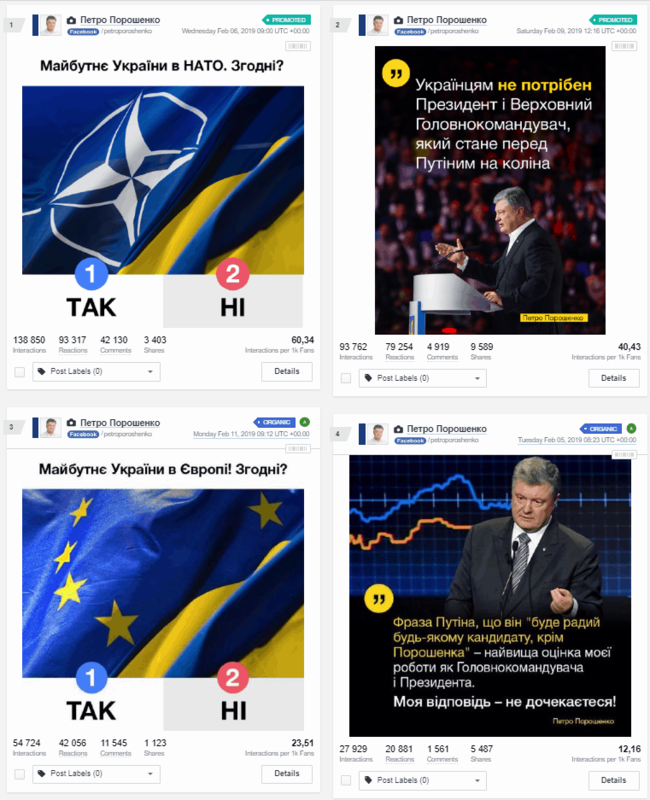 It closely follows Petro Poroshenko’s channel in terms of views, but enjoys a significantly higher users interaction rate than the latter. Other channels are far less popular and have received fewer views and comments. 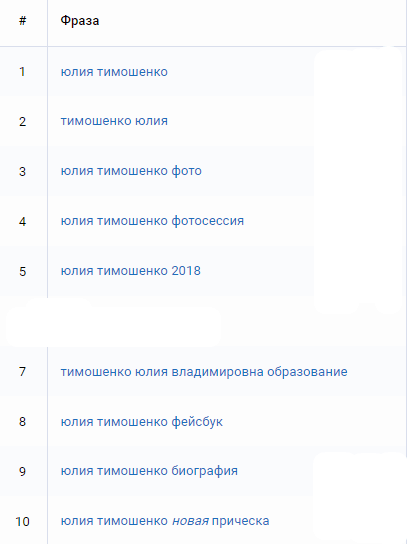 Among the official websites of Ukrainian presidential candidates, Volodymyr Zelenskiy’s website is the absolute leader, with its traffic significantly exceeding that of Zelenskiy’s immediate competitors. 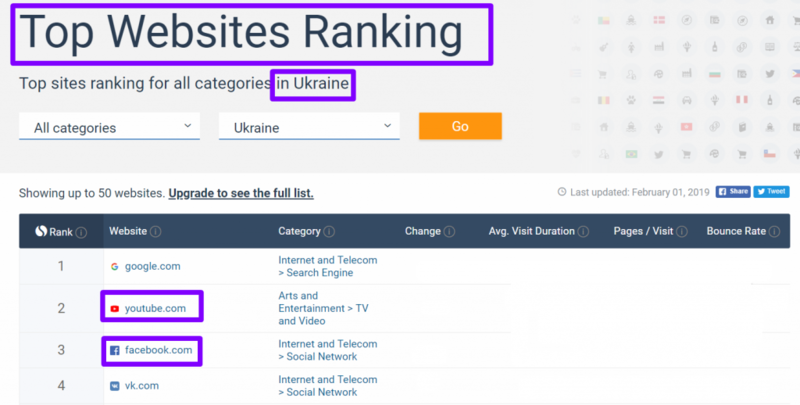 Yulia Tymoshenko’s, Petro Poroshenko’s, and Anatoliy Hrytsenko’s websites also rank high in terms of popularity. 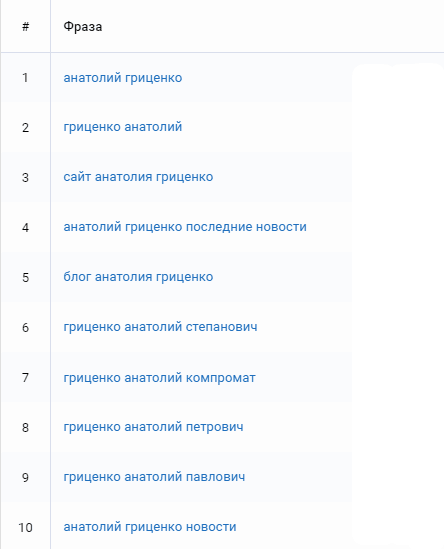 On the contrary, websites dedicated to Oleh Lyashko and Yuriy Boyko appear at the bottom of this list. The general online reach shows how often users search for specific notions and facts. In the recent month, the popular search trends for presidential candidates have changed. According to the statistics, the main competitors in this metric are Volodymyr Zelenskiy and Petro Poroshenko. They are closely followed by Tymoshenko, Smeshko, and Hrytsenko. Boyko and Lyashko rank last here. The official website of Petro Poroshenko’s party has got 53.9k visits. However, it should be taken into account that the performance indicators shown by SimilarWeb service often exceed the actual ones. 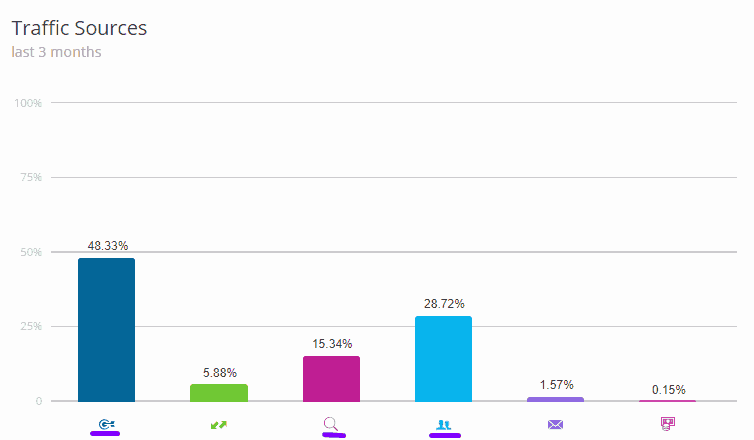 The main bulk of the traffic comes from clicks on SERPs, but a high percentage of users visit the site following direct links found in email and social media. 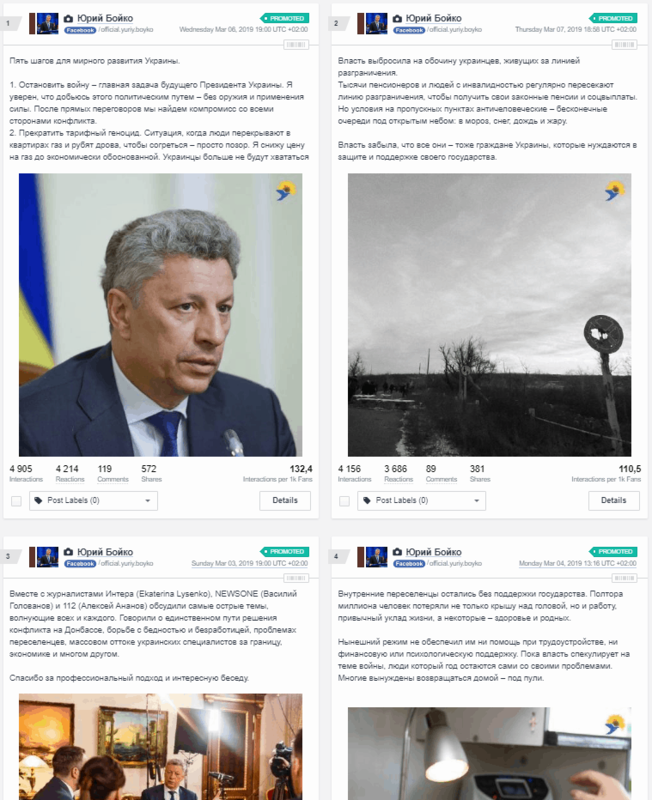 The official Facebook community of Petro Poroshenko’s party reached 2,404,047 followers as of March 7. In the last 30 days, the average page posting frequency made 5.5 posts per day, with the average post length reaching 494 characters. The total number of reactions to videos (likes, dislikes, etc.) makes 1.1 million. The page content got 199k comments and 135k shares. 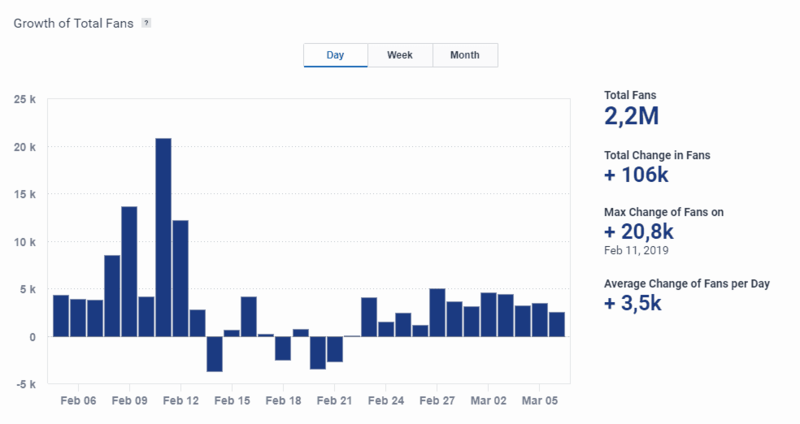 In total, 230 posts have been published on the page within the last 30 days, whereas there is a tendency towards fewer posts being published at weekends. Posts with links to external sources and pages as well as news containing photos and videos turned out to be the most interesting ones to the readers. 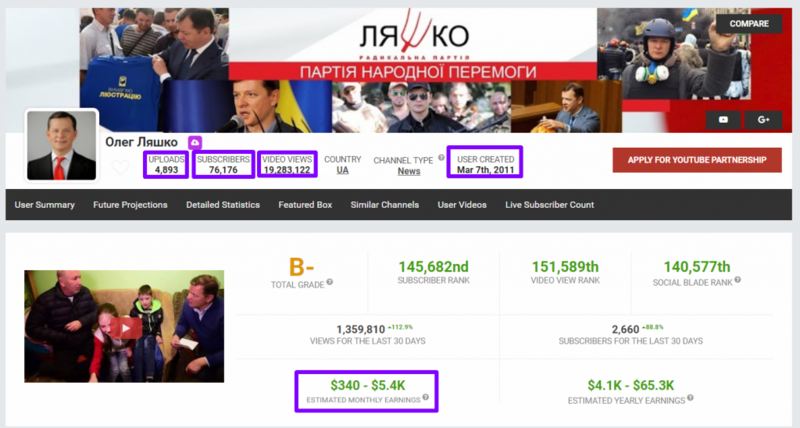 Petro Poroshenko’s official YouTube channel has got 22,841 followers and 31,750,622 views as of March 9. The channel was created in April 2014 and features 822 videos. The general user activity on the channel has significantly increased in October 2018. Before that, the channel’s performance was comparatively low . In total, 28 videos have been published on the channel within the last month, with the average posting frequency of 0,93 per day. 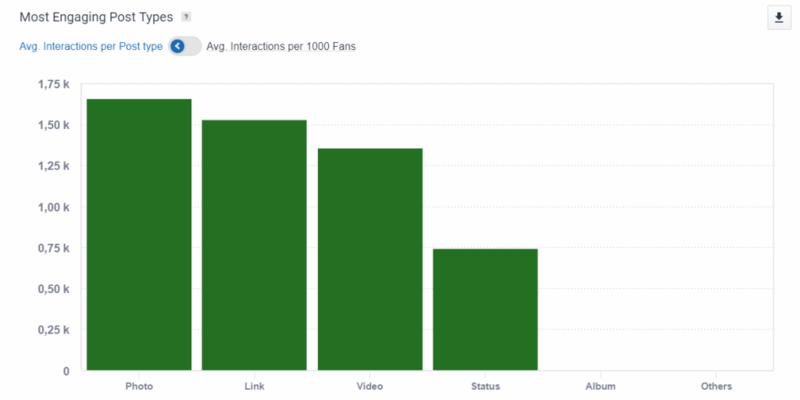 The number of video views tends to decrease in the recent month. 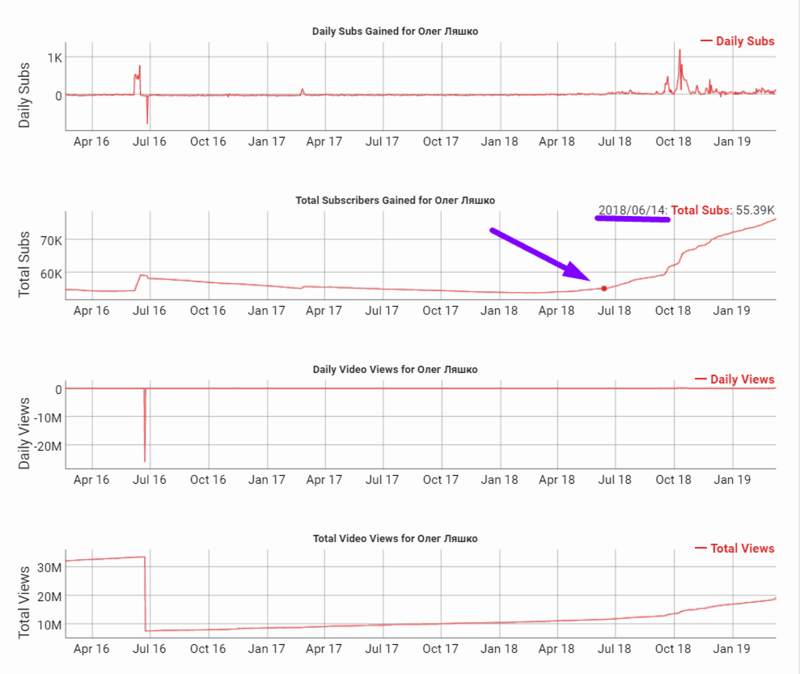 In the list of the videos published within the last 30 days, we can witness an apparent drop in the number of views; however, the likes/dislikes ratio has experienced a positive growth. According to keyword analysis of Google search results, it can be noticed that Russian is used more often for search queries than Ukrainian. 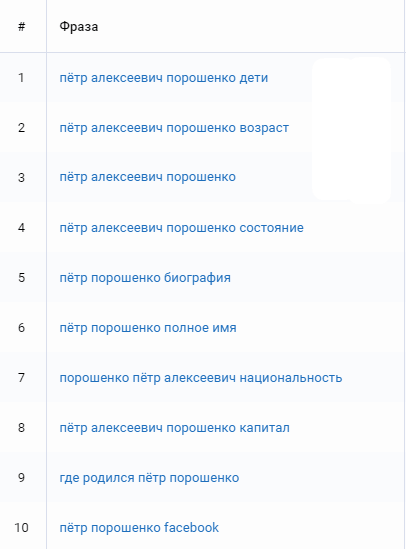 The following queries in Russian and Ukrainian are the most frequent ones. 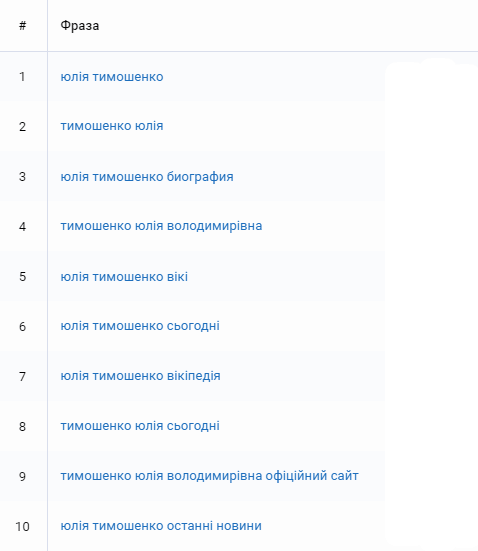 Interestingly, the search queries in Russian often address more private information about this candidate. 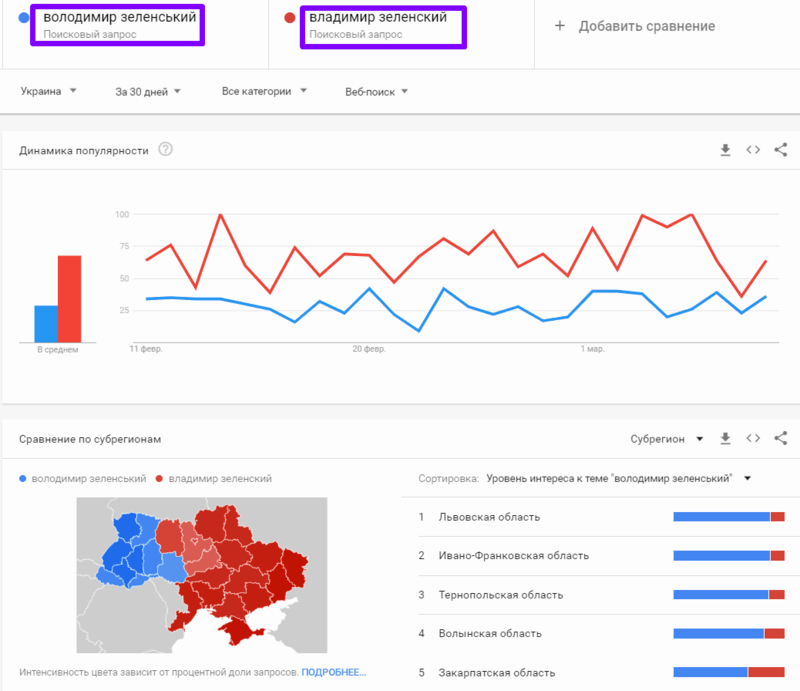 By comparing search queries in Russian and Ukrainian, we can map the geography of their popularity. Yulia Tymoshenko’s official website has got 143.3k visits. However, as it has been already mentioned, the figures provided by SimilarWeb service may exceed the actual indicators. 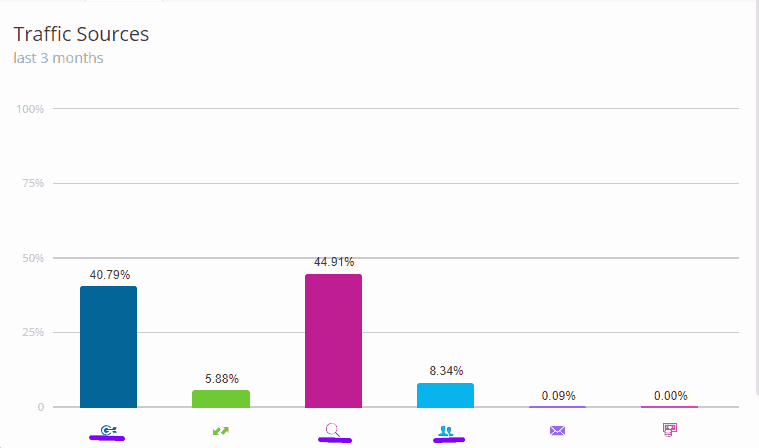 The majority of the traffic comes from clicks on SERPs, but a lot of users visit the site following direct links found in email and social media as well. 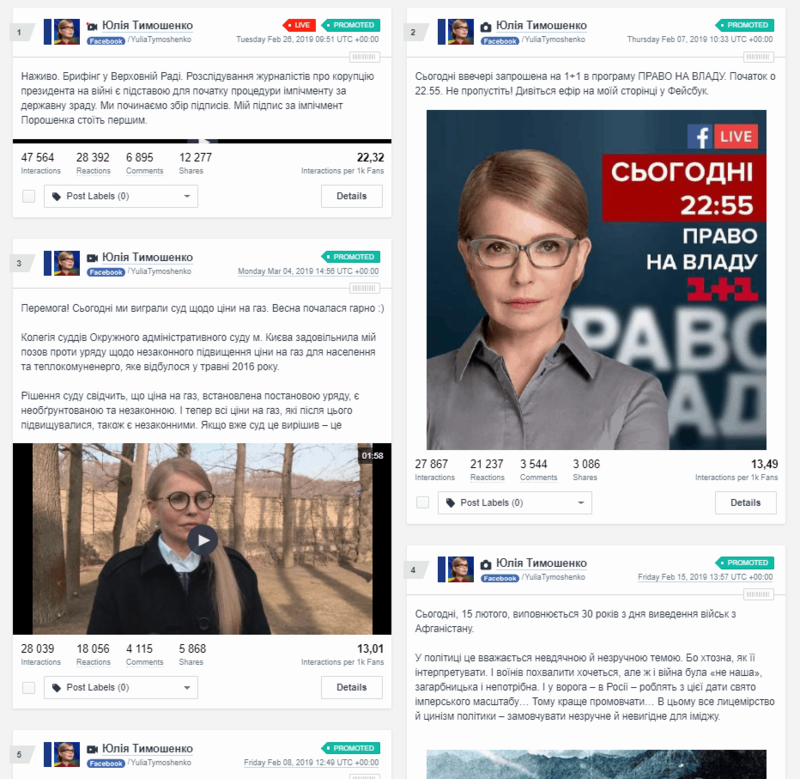 Yulia Tymoshenko’s Facebook community has attracted 2,167,939 as of March 7, 2019. 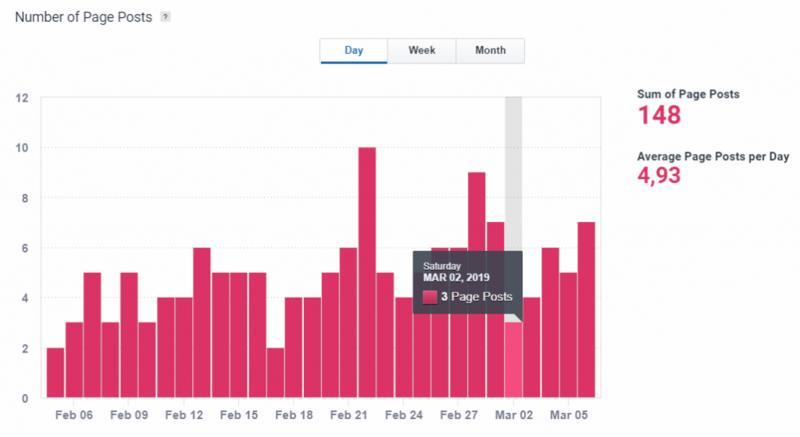 On average, 1.5 posts have been published in the last 30 days, with the average post length reaching 890 characters. The videos published on the page have got the total of 365k reactions (likes, dislikes, etc.) as well as 94.7k comments and 92.9k shares. Within the recent month, 74 posts have been published on the page, with fewer posts being published at weekends. Short informational posts and materials containing photos and videos appear to be the most engaging types of posts for the followers. As of March 9, Yulia Tymoshenko’s official YouTube channel has got 67,996 subscribers and 48,554,845 views. The channel was created in September 2009, and now it features 1,795 videos. There has been a surge in users’ activity in May 2018. Before that time, its levels were rather low. 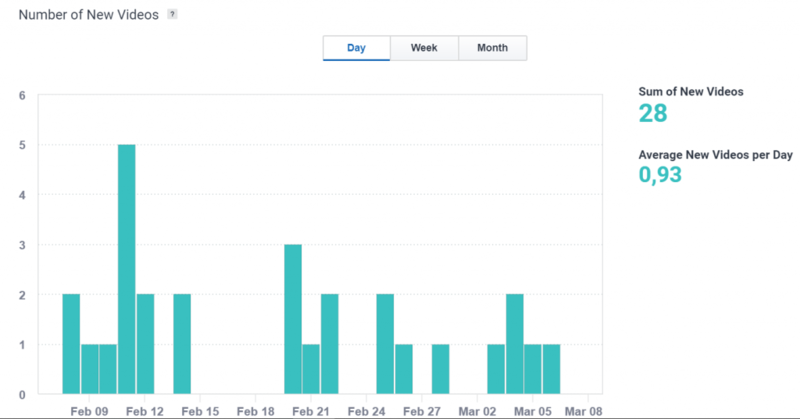 Within the last month, 21 new videos were published, with the average posting frequency of 0.7 videos per day. 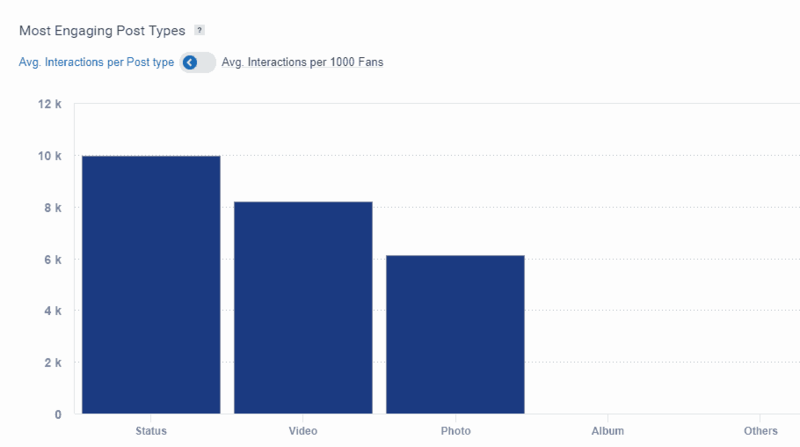 The general number of video views tends to drop. 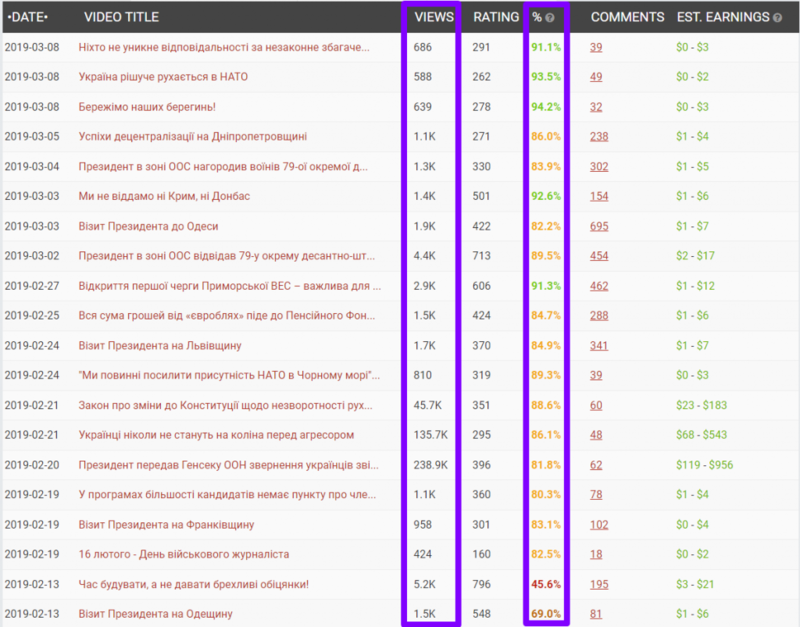 In the list of the recently published videos, a decrease in the number of views can be noticed. On the other hand, the likes/dislikes ratio remains high. 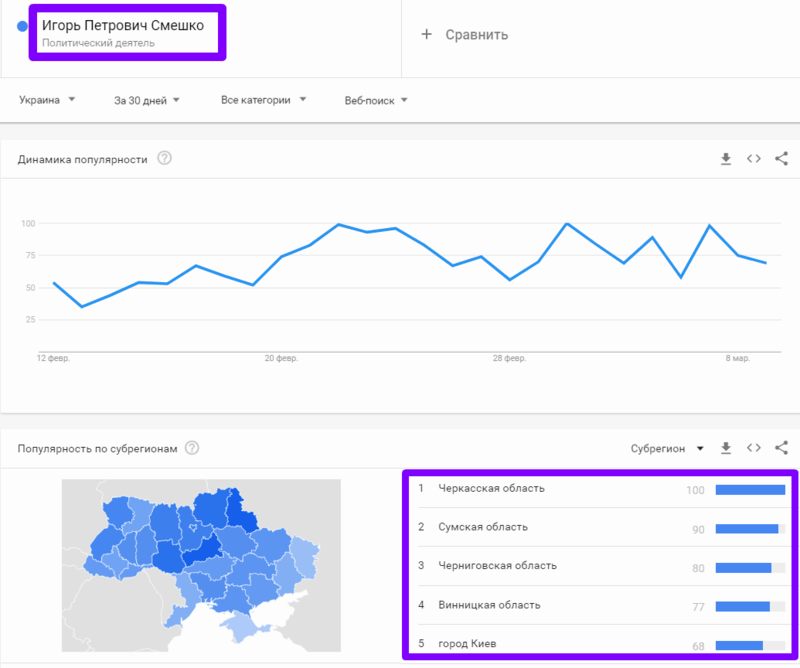 From the keyword analysis of Google search results, it can be noticed that Russian is used for search more often than Ukrainian. The following queries in Russian and Ukrainian are the most frequent ones. It should also be noted that Russian is often used in queries connected with the candidate’s personal life. 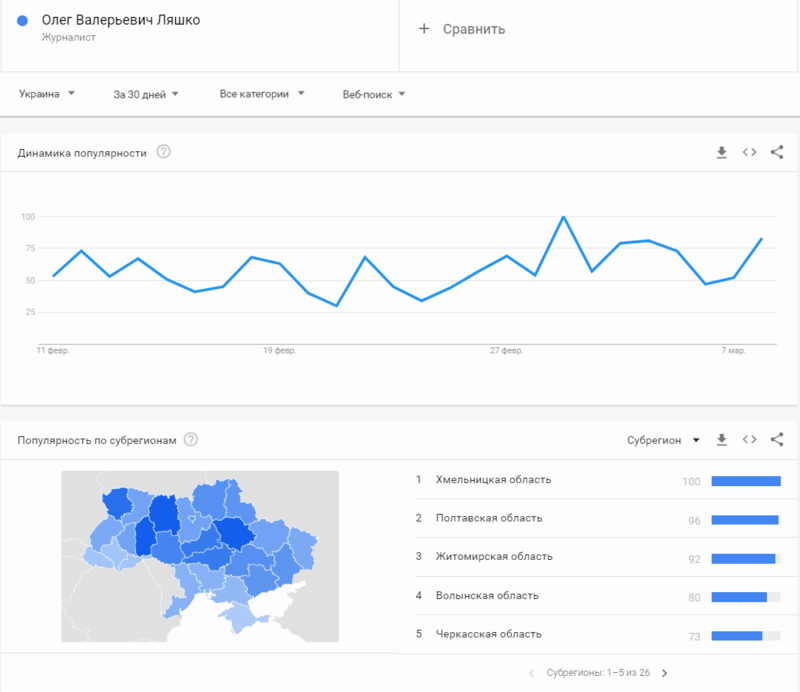 By comparing the web search queries in Russian and Ukrainian, we can notice the geographic distribution of their popularity. 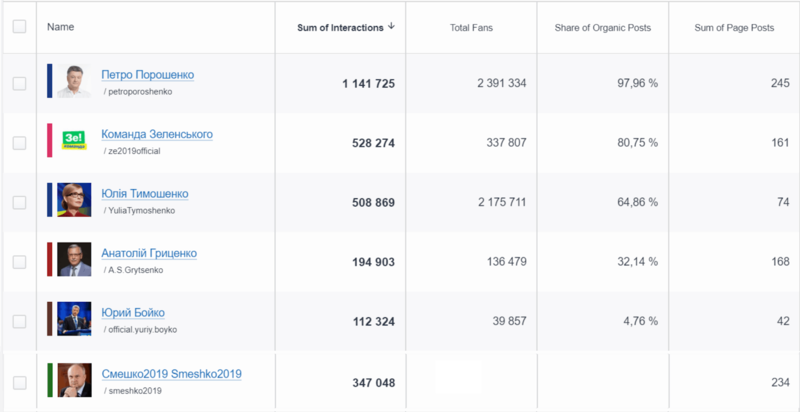 Volodymyr Zelenskiy’s official website has attracted 673,9 visits, which significantly exceeds the indicators achieved by his competitors. The surge in the popularity was registered right after the website’s appearance, reaching up to 2,65 million visits per day; however, the figures declined almost immediately. 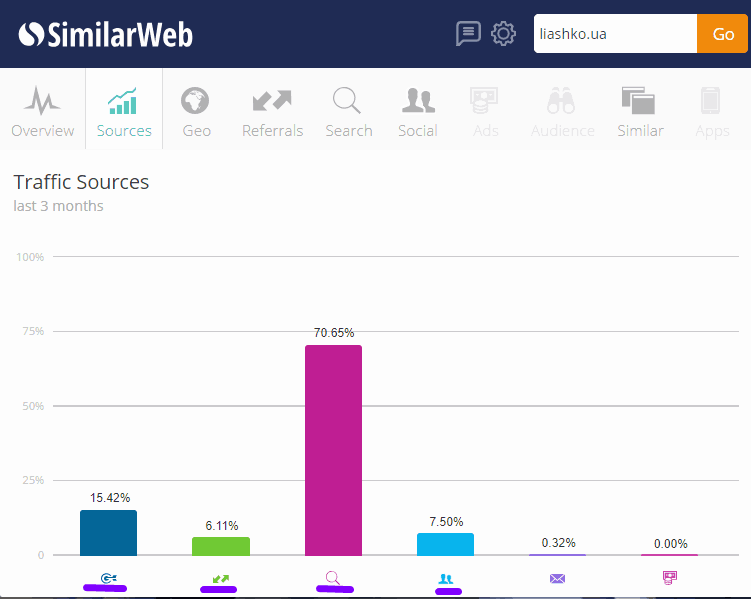 It should also be noted that the data provided by SimilarWeb service may exceed the actual indicators. The main bulk of the traffic comes from clicks on direct links. 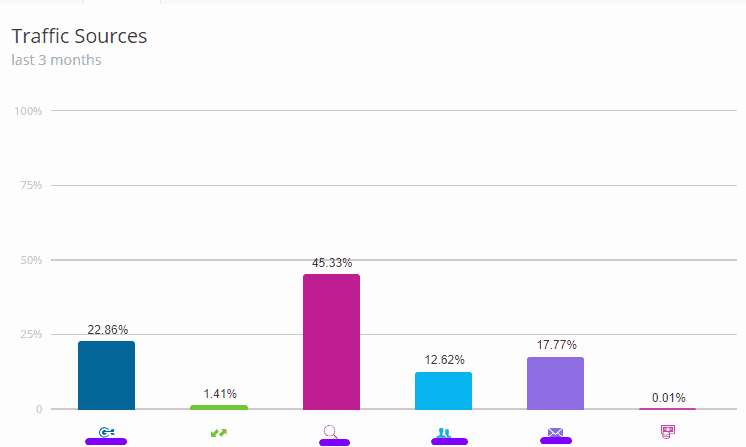 However, a significant portion of visitors were directed to the website by social media and SERPs, which points to the high popularity of the candidate and the brand created around the candidate’s persona. 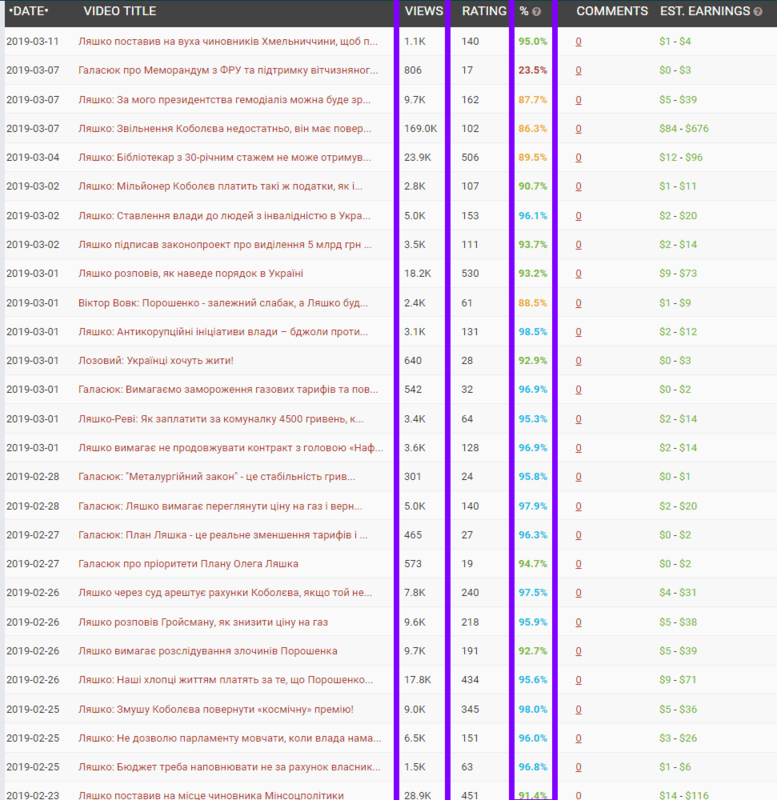 Here we have analyzed the Facebook page dedicated to Volodymyr Zelenskiy’s party since his own page is a personal profile rather than a community, so according to Facebook data protection policy, its statistical data cannot be retrieved for analysis. 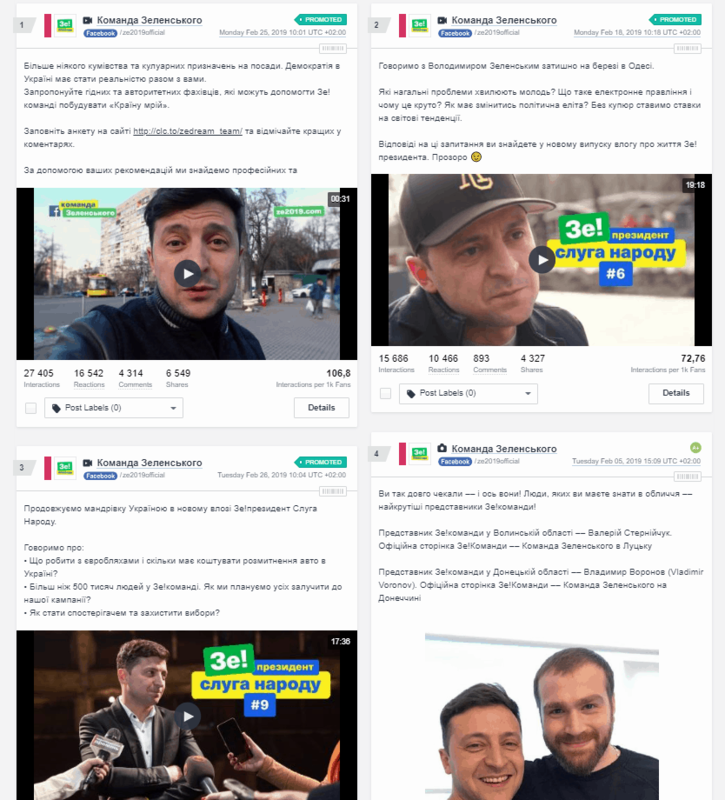 The official Facebook page of Volodymyr Zelenskiy’s election campaign has 349,205 subscribers as of March 7, 2019. 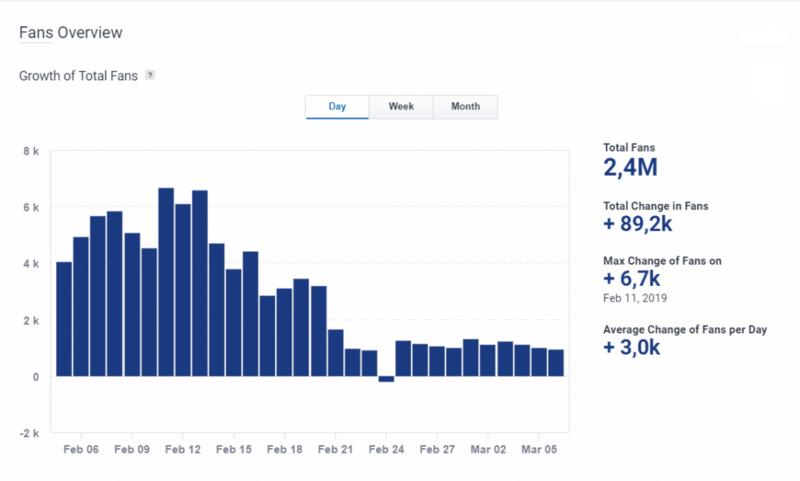 The average posting frequency registered in the last 30 days makes 3.7 posts per day. On average, posts are 517 characters long. The total number of reactions to videos (likes, dislikes, etc.) makes 313k. Posts have been commented on 51.1k times and shared 98.8k times. 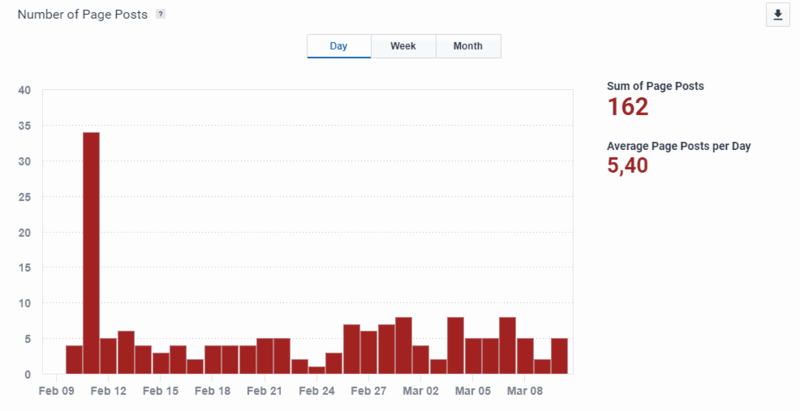 In general, 148 posts have been published within the last 30 days, with the tendency towards fewer post being published at weekends. Posts with videos and photos engage the largest number of readers. 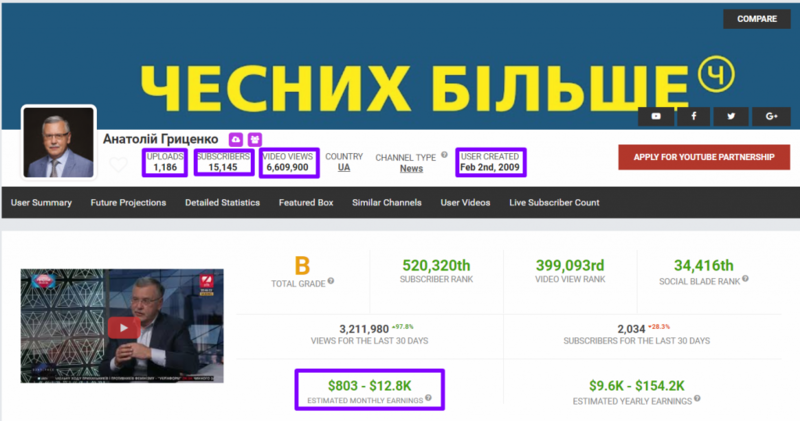 The official Volodymyr Zelenskiy’s YouTube channel has attracted 222,704 subscribers and 11,478,425 views. 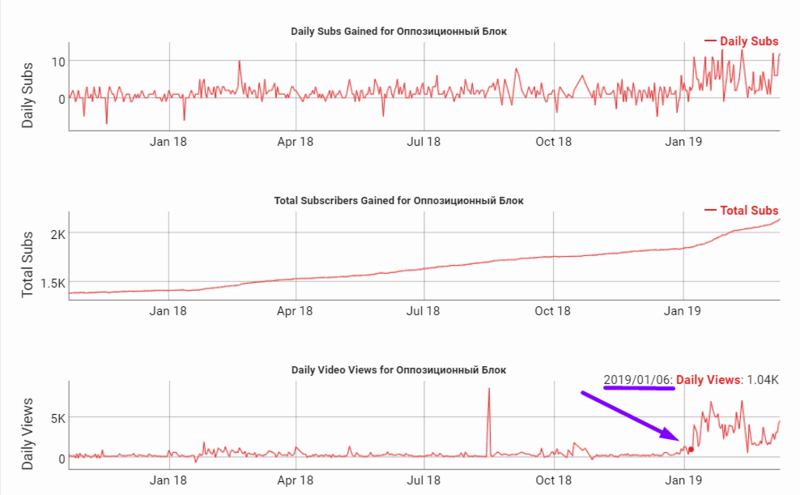 The channel was created at the end of January 2019 and now features 22 videos. This is a great result compared to those of the channel’s competitors since it managed to get 11 million views in the six weeks’ period of its existence, which obviously indicates a significant promotional budget. From its inception, the channel has gained a noticeable increase in popularity, which still remains. Almost all 22 videos posted on the channel have been published within the last month. The views and likes/dislikes ratio are consistently high. 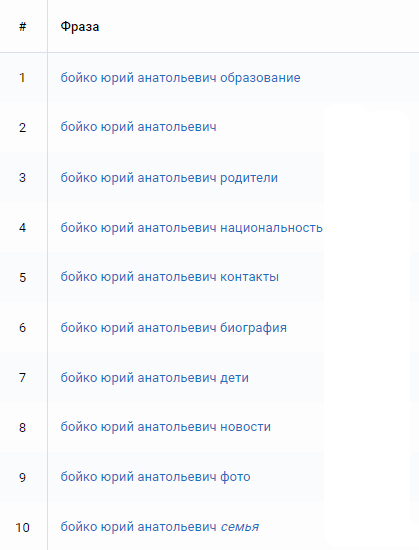 According to keyword analysis of Google search results, Russian is used for search more often than Ukrainian. 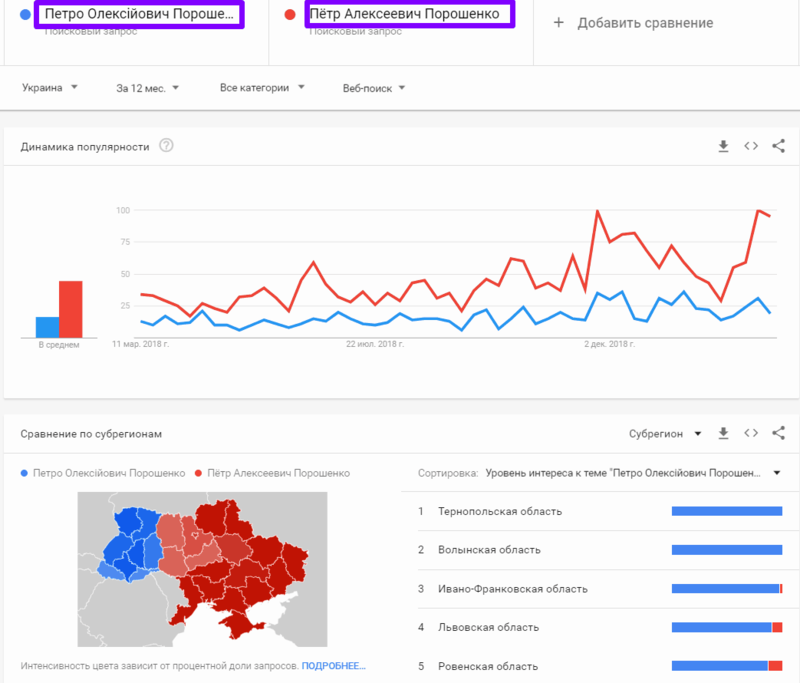 Also, the search frequency significantly increased in January, when Volodymyr Zelenskiy announced his decision to run for president in 2019. 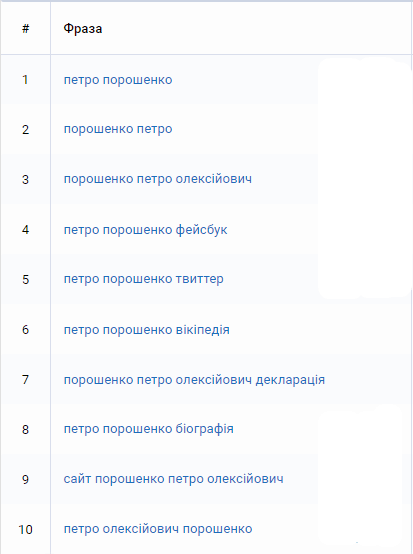 The following search queries are the most frequent ones in Ukrainian and Russian. And again, Russian is used more often for queries concerning the candidate’s private life. 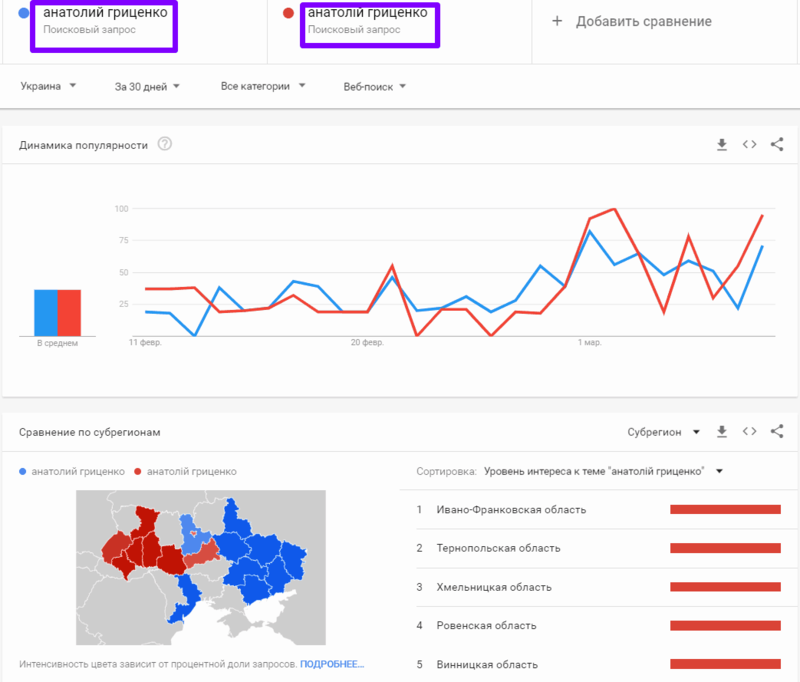 Comparing the search keywords in Russian and Ukrainian, we can see the geographic divide of the candidate’s popularity. 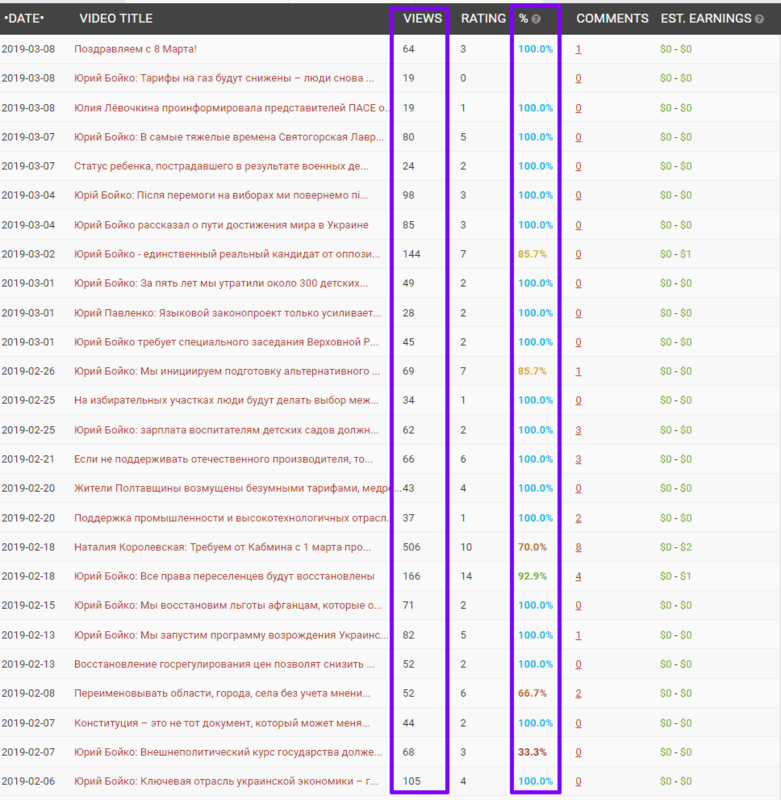 It can be assumed that Ihor Smeshko’s official website receives moderate amount of traffic as the number of visits appears too low to be measured by the respective analysis services. The main bulk of the traffic comes from social media and direct links. 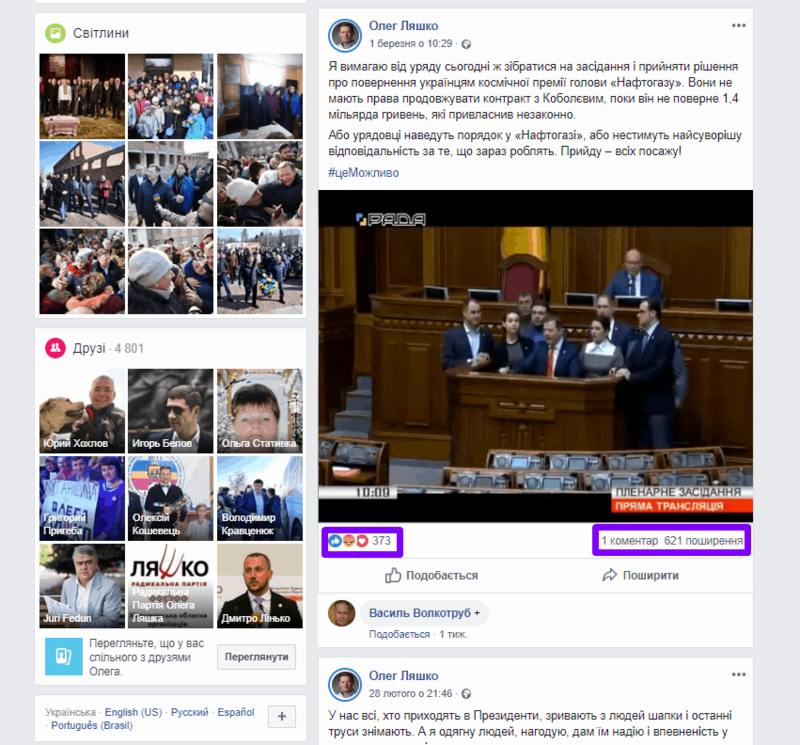 Ihor Smeshko’s official Facebook page had 14,431 subscribers as of March 12, whereas the community itself was created on January 25, 2019. In the last 30 days, the average posting frequency makes 6.7 posts per day, with the average post length reaching 967 characters. The videos posted on the page have received around 179k reactions (likes, dislikes, etc. 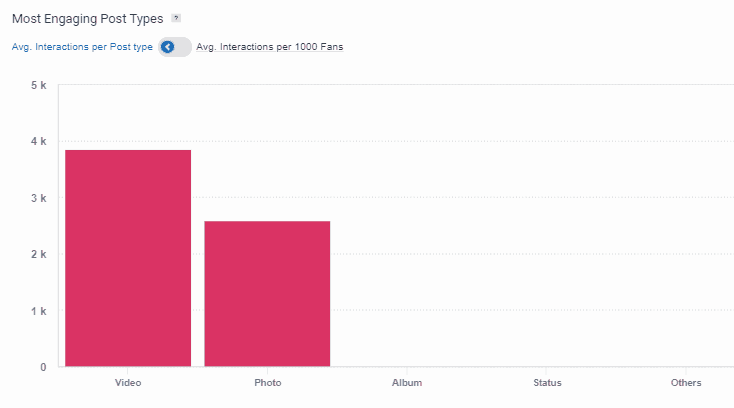 ), while posts were commented on 13,2k times and shared 155k times. 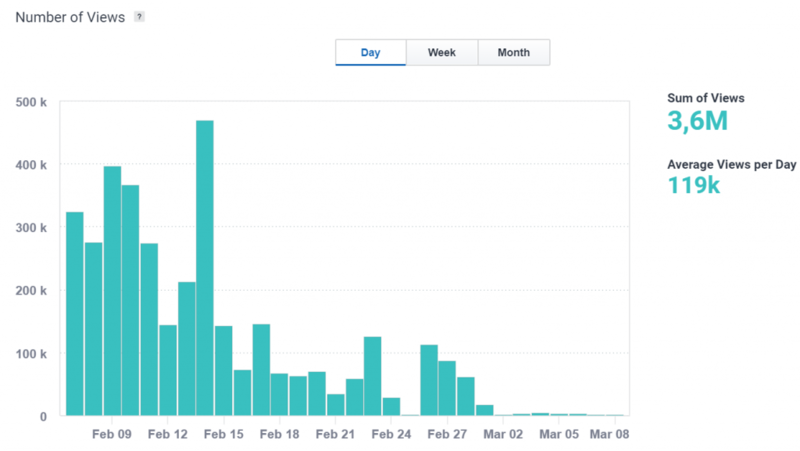 The total number of posts published in the last 30 days is 234. Posts with photos videos and links to external sources engage the highest audience. 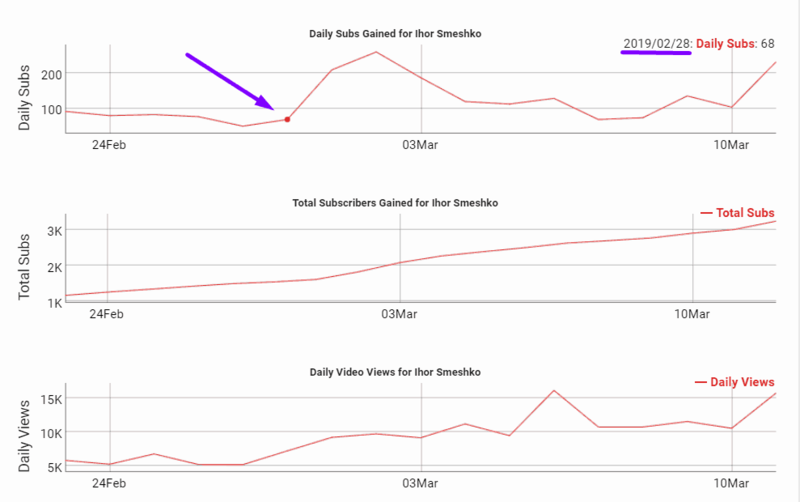 Ihor Smeshko’s official YouTube channel had gathered 3,239 subscribers and 212,364 views by March 12, 2019. The channel itself was created at the end of January 2019 and features 166 videos. 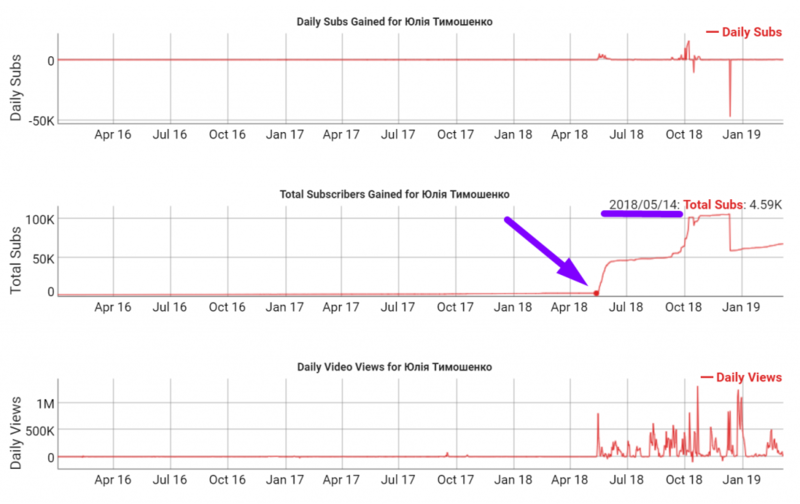 Since the end of January, when the channel was registered, the number of visits started to grow and enjoyed a significant increase at the end of February. The recent videos published on the channel have got a slow but sure increase in views and gathered comparatively few likes or dislikes. From the analysis of the keywords appearing in Google search results, we can see that Russian is used for search more often than Ukrainian. 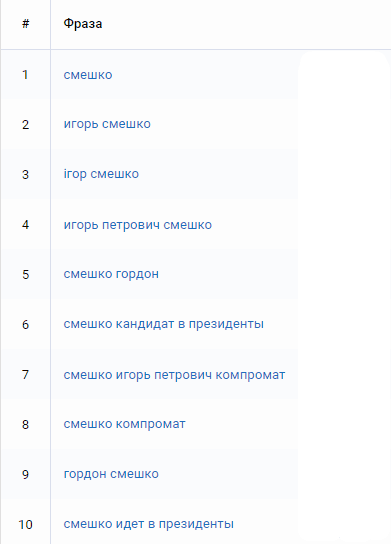 The following keywords are the most frequent both in Russian and Ukrainian segment. The following graph shows the geography of queries associated with Ihor Petrovych Smeshko. 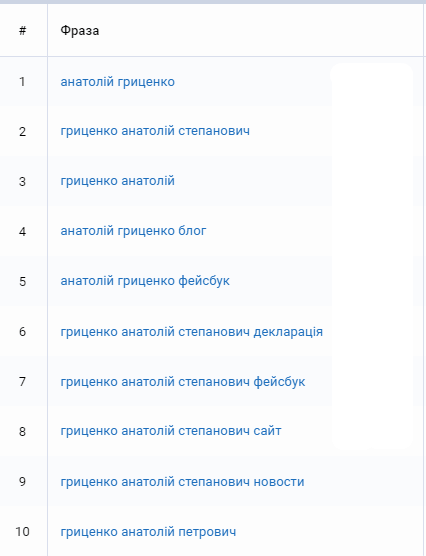 Anatoliy Hrytsenko’s official website has gained 51.1k visits within the last month, yet it should still be noted that the figures suggested by SimilarWeb resource may be higher than the actual ones. 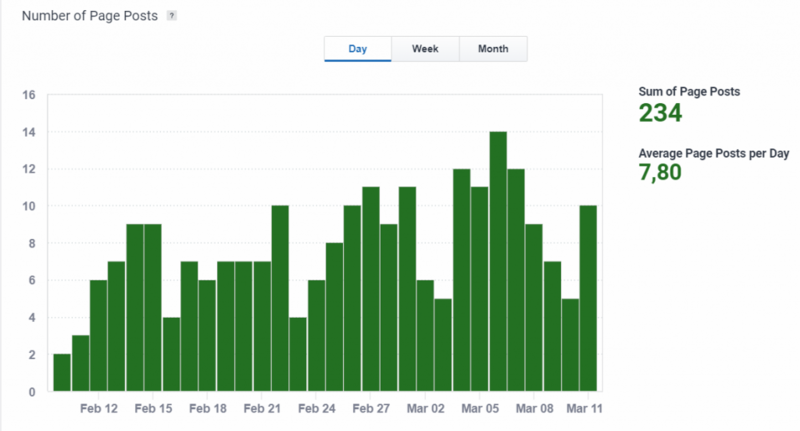 Among the traffic sources, the highest number of clicks comes from SERPs and direct links. 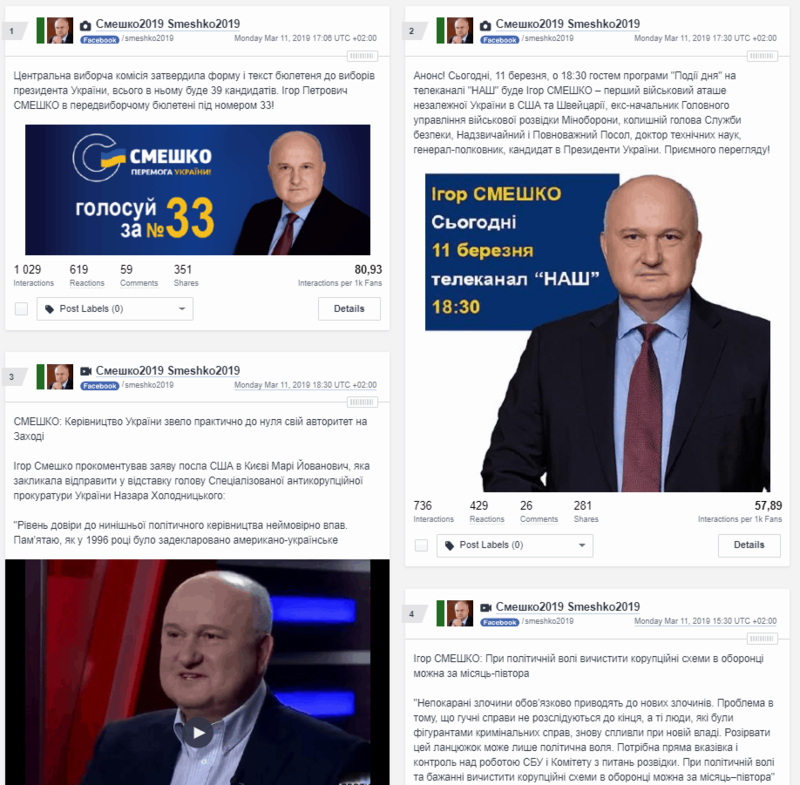 The official Facebook community dedicated to Anatoliy Hrytsenko has got 136,446 followers as of March 10. Within the last 30 days, the average page posting frequency has made 4.2 posts per day, with the average post length being 452 characters. The videos posted on the Facebook page have received 114k reactions (likes, dislikes, etc.). The posts have been commented on 19.1k times and shared 53.3k times. In total, 162 posts have been published on the page within the last month, whereas fewer posts tend to be published at weekends. 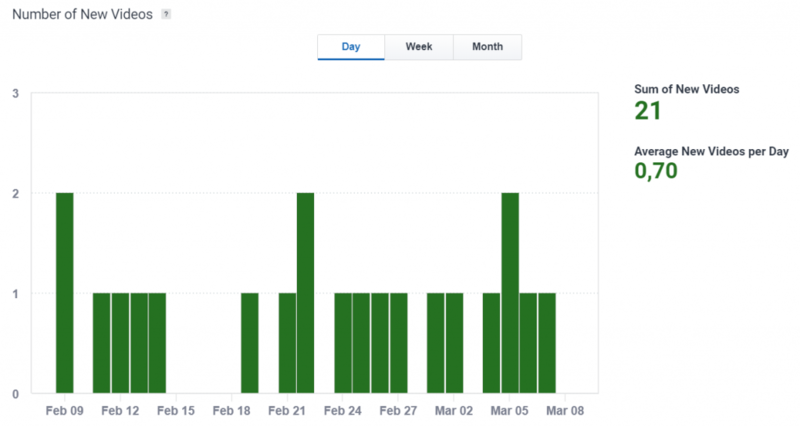 Also, there has been a noticeable increase in the activity on February, 11, when 34 posts were published on the same day. As usual, posts containing photo or video materials engage the broadest audience. 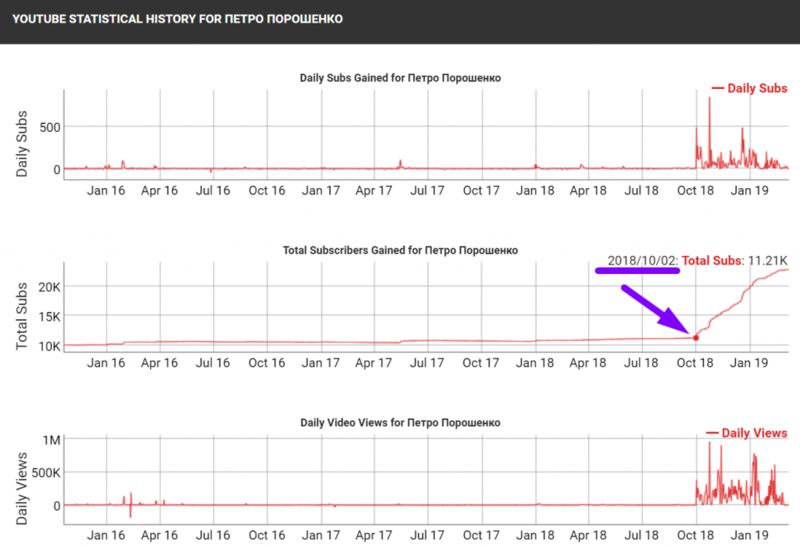 Anatoliy Hrytsenko’s official YouTube channel had 15,145 subscribers and 6,609 views as of March 10, 2019. The channel was created in February 2009 and now contains 1186 videos. There has been a considerable surge in activity registered on the channel in June 2018. As far as the recent videos are concerned, there is a comparatively low but stable number of views and a high likes/dislikes ratio. 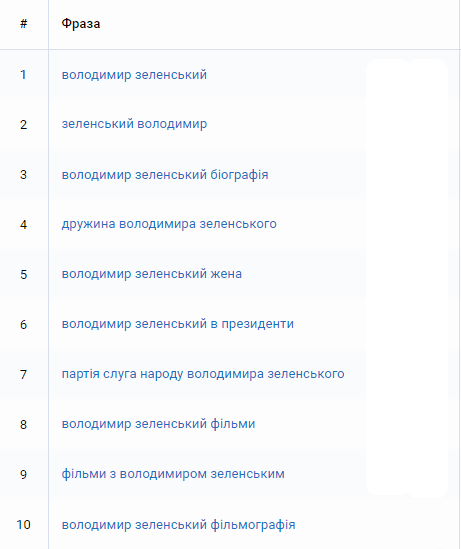 According to the keywords analysis, Russian is still more popular than Ukrainian when it comes to search queries. 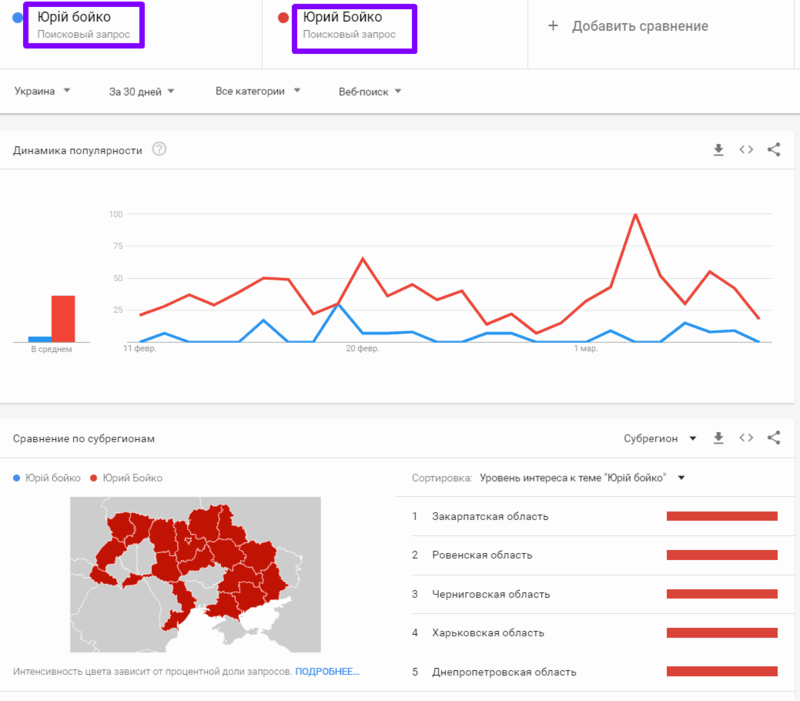 If compared, search queries in both Russian and Ukrainian show the geographic distribution of their popularity. 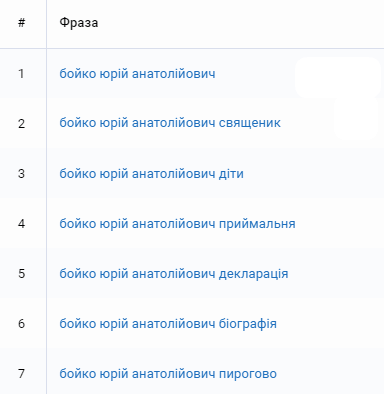 However, in this case, the number of queries in Russian is almost equal to the number of Ukrainian ones. 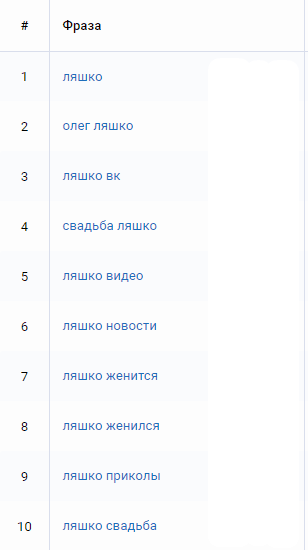 Oleh Lyashko’s official website has gained 24.1k visits within the 30-days’ period. 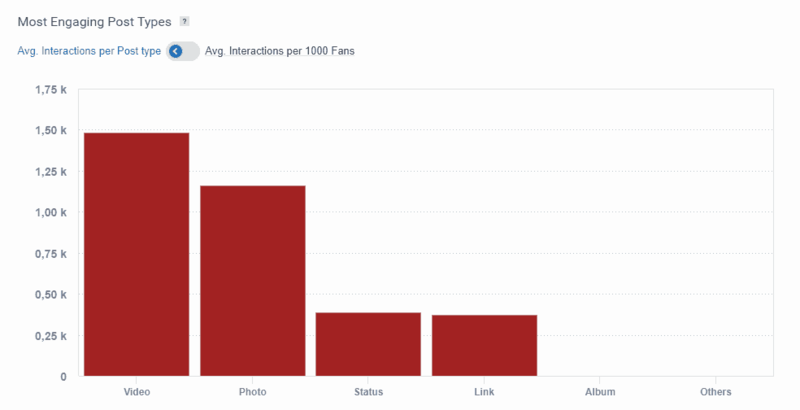 However, the results shown by the service used for measuring the visits may exceed the actual figures. The main traffic source for this website is the search engine results page. However, a substantial number of visitors came to the website following direct links and posts in social media. 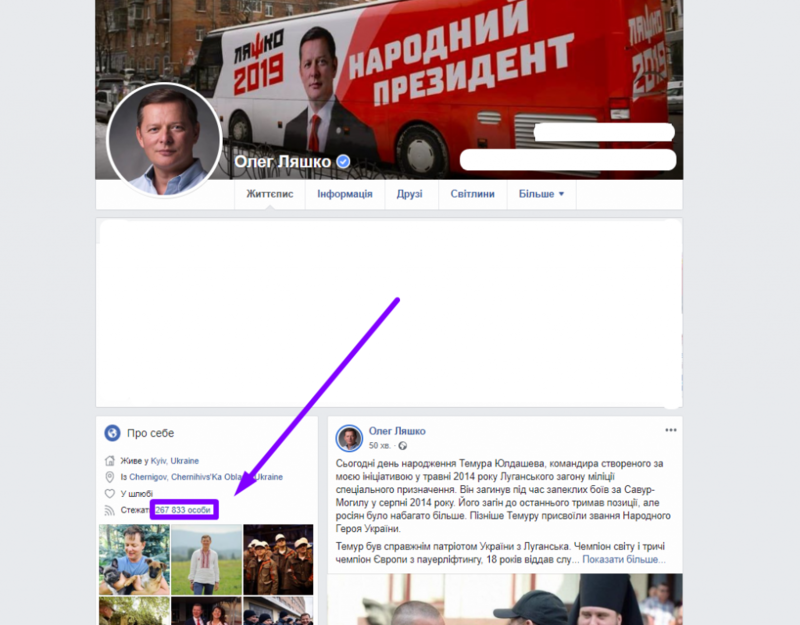 The number of subscribers to Oleh Lyashko’s Facebook community reached 267,833 users as of March 7. 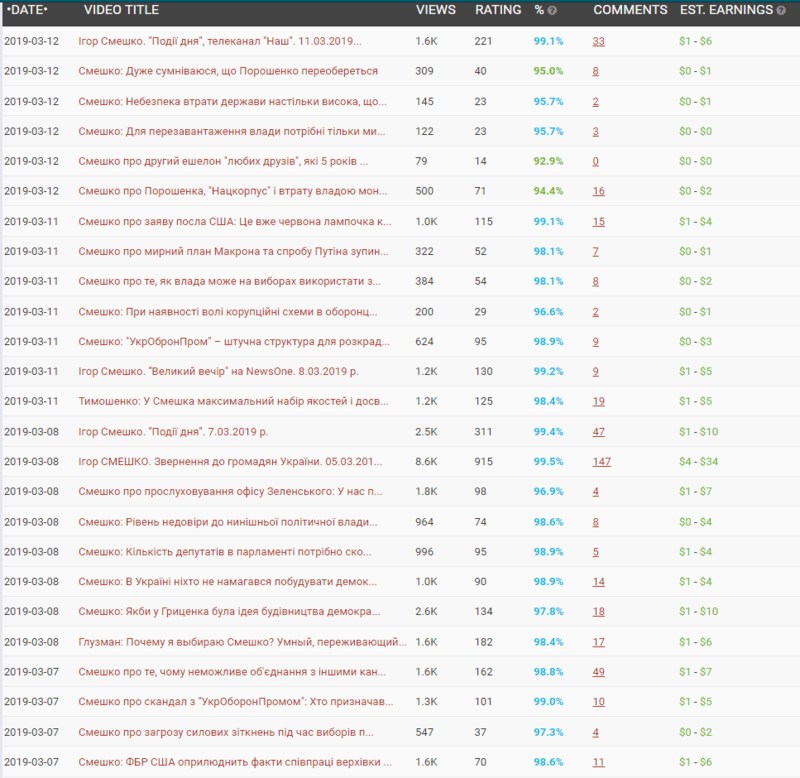 Oleh Lyashko’s official YouTube channel had got 76,176 subscribers and 19,283,122 views by March 11. The channel was created in March 2011 and features 4,893 videos at the moment. The activity on the channel increased gradually in June 2018. 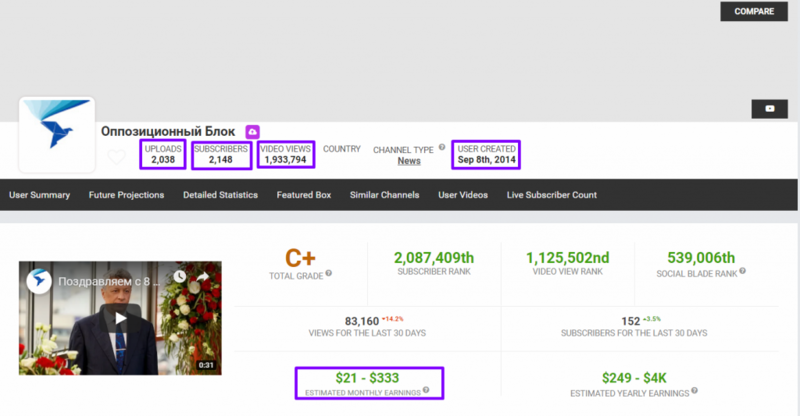 Before that time, the channel gained comparatively low numbers of views and subscribers. 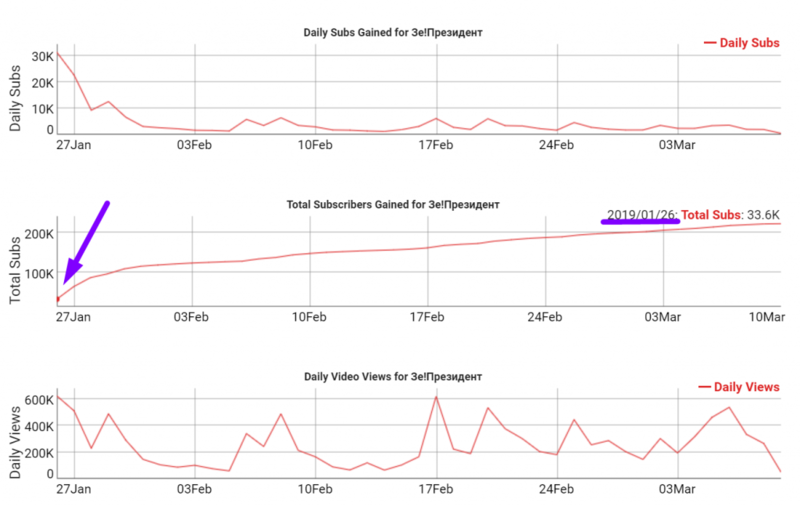 Within the last 30 days, a small increase in the popularity of the recent videos can be noticed. 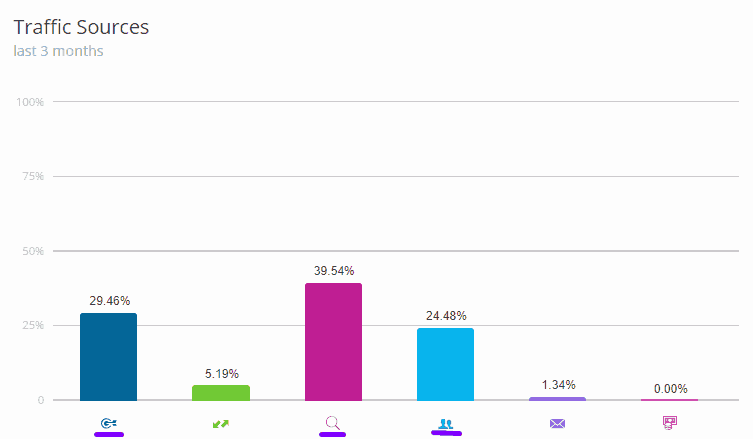 However, since the number of channel subscribers is rather high, the users engagement is still rather low. 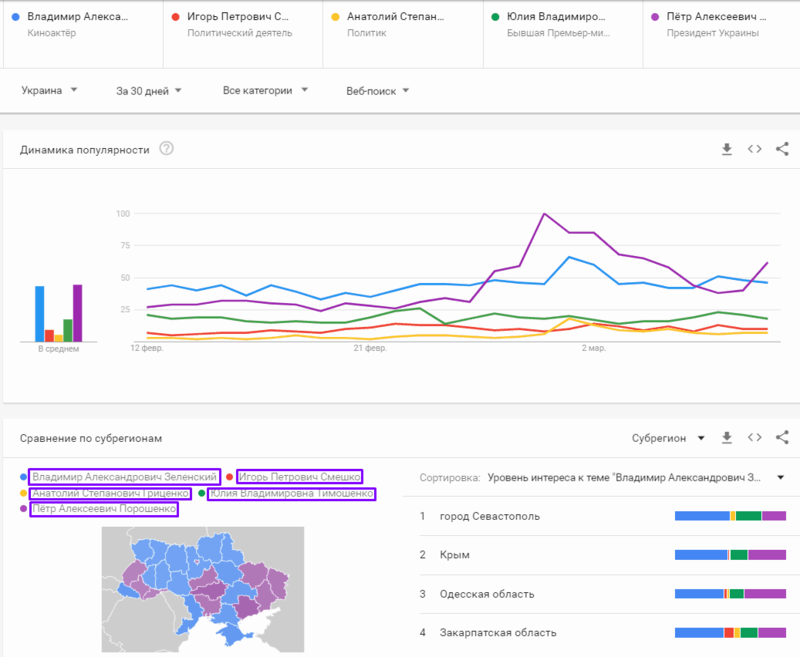 From the analysis of the keywords in Google search results, it is obvious that the candidate’s surname, Lyashko, is the most frequently searched word, which means that a certain brand has been created around this politician’s persona. The most frequently searched words and phrases can be seen below. It is also interesting to note that most of the search queries are aimed at the candidate’s personal life. Here we can see the geography of Oleh Lyashko’s popularity among Ukrainian citizens. 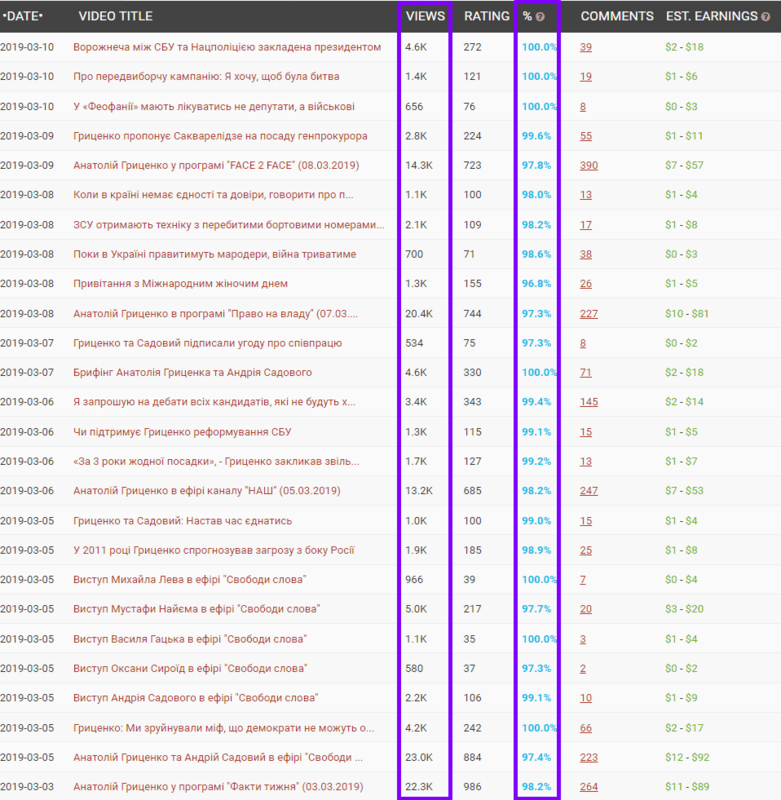 Yuriy Boyko’s official website has gained little traffic since its amount is too low to be measured by the analysis tools. 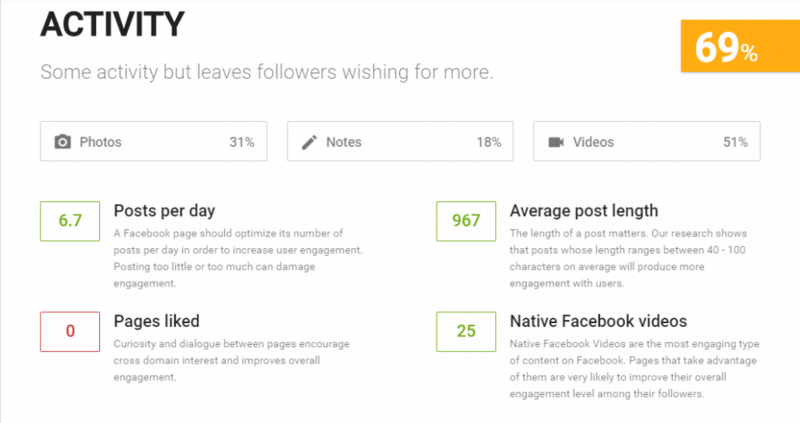 The main traffic sources are the social media and contextual ads. 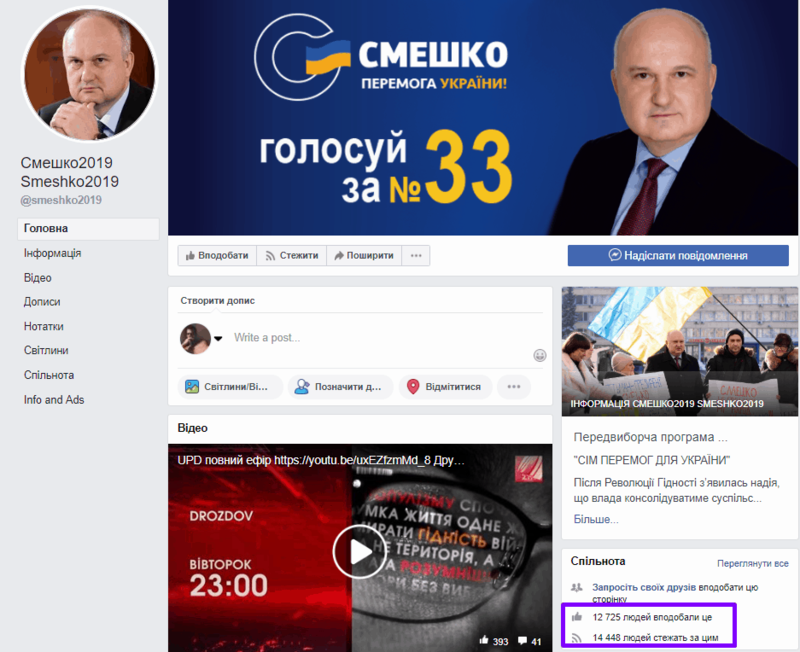 The total number of subscribers to Yuriy Boyko’s official Facebook page reached 40,527 as of March 10, 2019. 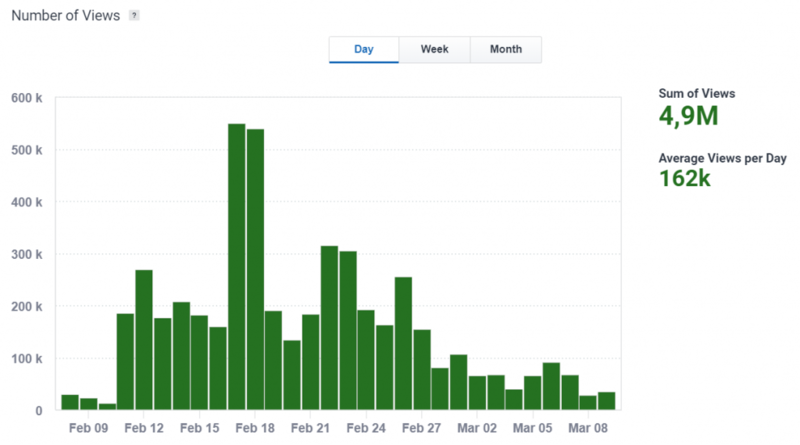 Within the last 30 days, the average page posting frequency has been 1.4 posts per day. The average post length makes 618 characters. The videos posted on the page have gained 91.6k reactions, 3.1k comments, and 13.8k shares. 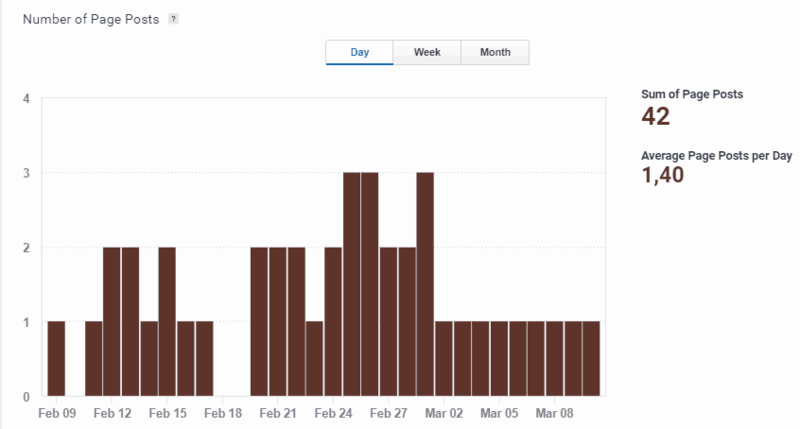 In total, 42 posts have appeared on the page in the last 30 days. 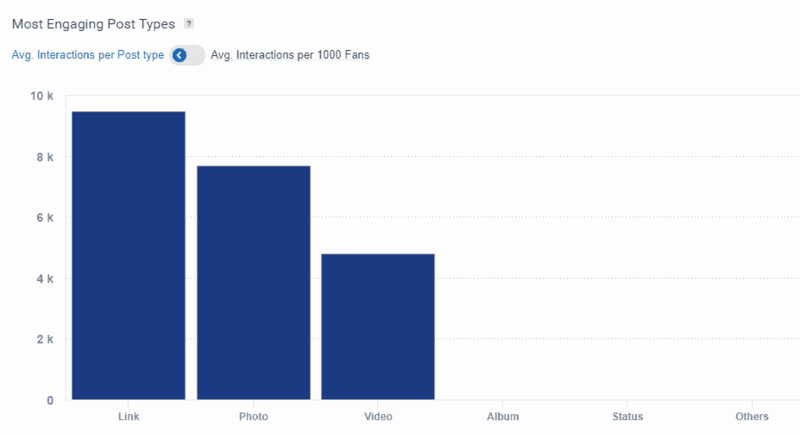 Posts containing photos and videos steadily enjoy the highest engagement rates among the followers and visitors. 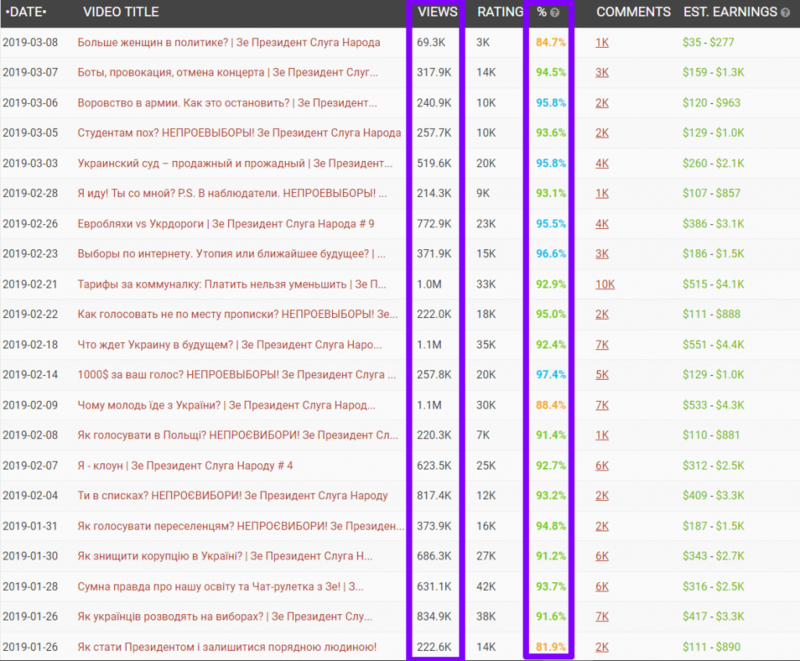 The official YouTube channel dedicated to Yuriy Boyko has 2,148 subscribers and 1,933,794 views. The channel was created in September 2014 and now offers 2038 videos. 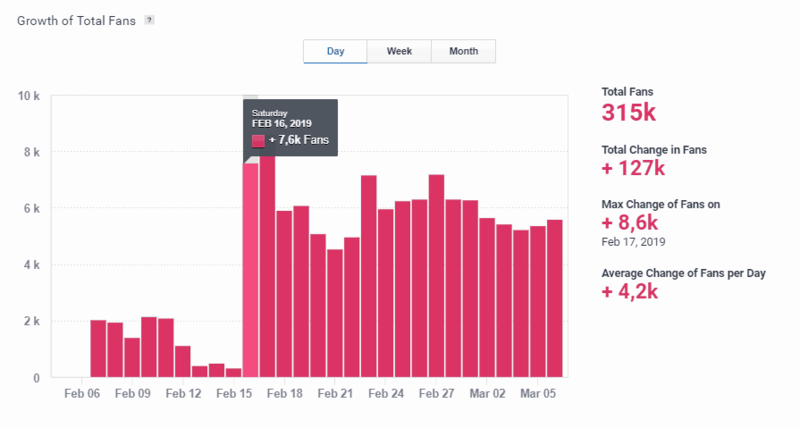 A substantial increase in the channel’s activity was registered in January 2019. Before that, the channel engaged few viewers and subscribers. 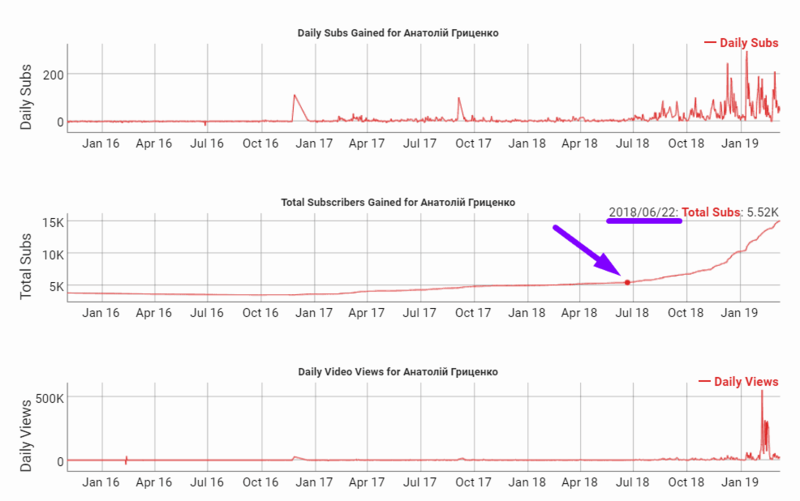 The recent videos have got a comparatively small number of views in the last 30 days and rather scarce likes and dislikes from the viewers, respectively. 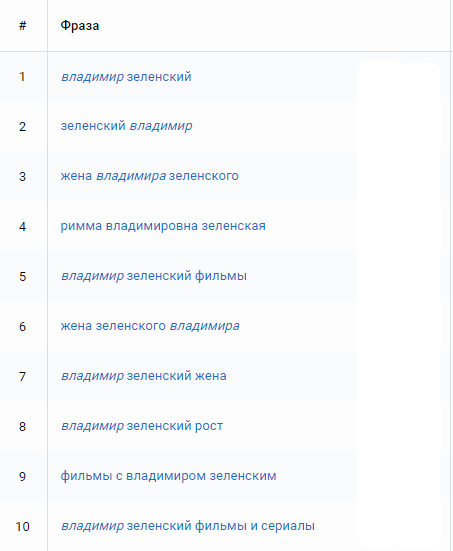 The keyword analysis of Google search results shows that Russian is used for search queries more often than Ukrainian. It is also important to take into account the possible statistical inaccuracies caused by the popularity of a film character with the same name (the boxer Yuriy Boyka). The most frequently searched words and phrases are mostly connected with the candidate’s biography. 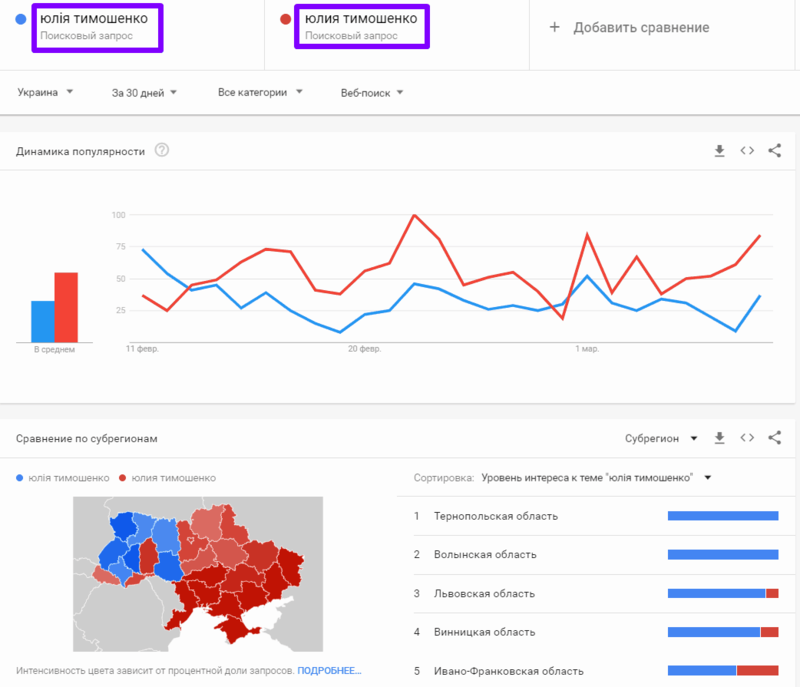 The comparison of search queries in Russian and Ukrainian demonstrates the geographic distribution of their popularity. As it can be seen, the Russian language still prevails in most regions of Ukraine.